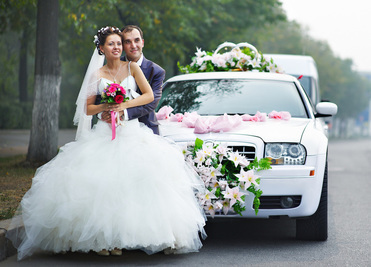 Look no further for your wedding transportation carrier. With Kitchener Limo Rentals, every detail is covered, so you can be relaxed and ready to say, “I do.” We value the incredible beauty each wedding offers, and we are able to adapt to each unique and special client. We offer incredible wedding limo and party bus packages and pricing to meet any budget. A wedding is already a stressful event. Let us help ease the planning by providing your wedding party with exceptional transportation services. Whether you decide to choose one of our fabulous luxury limousines, or the top of the line party bus, you and your guests are in for the ride of their lives. With the newest styles and interiors, our limousines provide the ultimate wedding traveling experience. Whether our drivers are taking you and your guests to the church where you’ll walk down the aisle, or to your garden oasis venue, we ensure you and your party will arrive on time and in style. We have easy convenience for bridesmaid dresses, flowers, and other wedding attire which calls for special traveling accommodations. Each limo is designed with state of the art technology, food and beverage bars, and other preference requested by clients. You can’t go wrong booking one of our amazing party buses. With matching themed décor, interior, playlists, and food and beverages, your guests might not want to leave our vehicles. Our fleet also offers cars and SUVS for smaller wedding parties. Our drivers take great pride in professionalism on your special day. We are dedicated to have your day run as seamlessly as possible. Our drivers are trained to take the most direct routes to ensure an enjoyable and memorable experience. Let our staff help with itinerary, hotel accommodations for guests, vendors, and even venue planning. We are experienced in knowing the hottest and most spectacular sites in the city. We can offer your guests specialized tours even. In addition to our incredible fleets, our customer service and friendly staff will make you feel like family. We want the best for you on your special day. Allow us to be part of your wedding experience, and trust our widely reputable company to care for your wedding transportation needs. Look no further for your wedding transportation carrier. With Kitchener Limo Rentals, every detail is covered, so you can be relaxed and ready to say, “I do.” We value the incredible beauty each wedding offers, and we are able to adapt to each unique and special client. 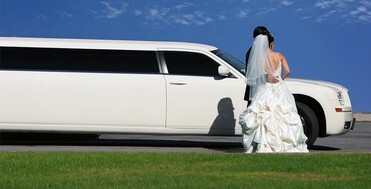 We offer incredible wedding limo and party bus packages and pricing to meet any budget. A wedding is already a stressful event. 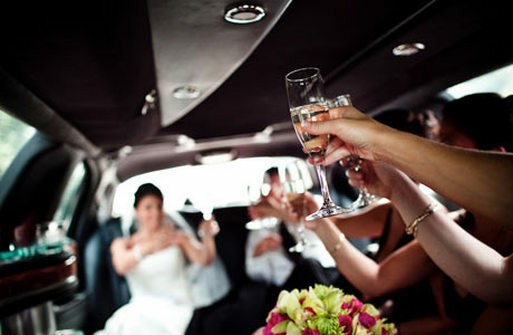 Let us help ease the planning by providing your wedding party with exceptional transportation services. Whether you decide to choose one of our fabulous luxury limousines, or the top of the line luxury prom party bus, you and your guests are in for the ride of their lives. Call us today at 226-241-9927 or fill out the information form on your screen to book your wedding transportation services with Kitchener Limo Rentals!